Superfruits come and go faster than Superman film scripts, but no matter how many nebulous health promises fly through the air, there hasn't yet been a berry that's proven to turn you into a man of steel. 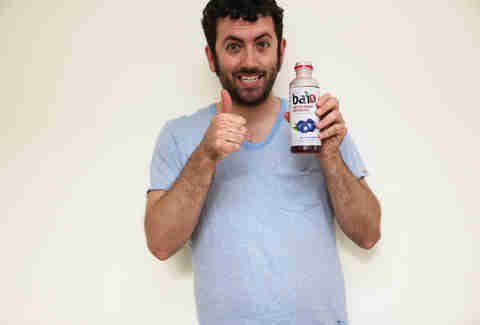 The folks behind Bai 5 would like you to believe that the next hero in the lineage of superfruit is the coffee fruit. It's essentially the sheep's clothing surrounding the beans that you wolf down every morning, but lacks the bitter flavor of its inner beast... it acts as a fruity sweetener and packs as much caffeine as a cup of green tea. So does the taste serve as an effective chaser for the superfruit marketing? Yes and no. Of the 10 exotically-named flavors like Congo Pear and Sumatra Dragonfruit, we tested Brasilia Blueberry, Molokai Coconut, and Panama Peach. All three shared a few common characteristics: a texture that's too viscous to be considered thirst-quenching, an initial blast of sweet and sour flavors, and a saccharine tail-end common to other low-cal concoctions (the '5' stands for the number of calories). The blueberry version was the clear favorite. The fruit flavor isn't overpowering, but rather operates like the coloring in a bottle of Vitamin Water: it's in the backseat, but still has its hands on the steering wheel. Try as I might, I couldn't taste a hint of coffee, but after downing a bottle I did start to feel a little jittery. That 70mg of caffeine might pale in comparison to the 20mg/oz of a cup of Starbucks (more coffee caffeine stats here! ), but numbers don't matter much when your wrists start shaking. I would drink this again, but would probably save half the bottle for later. The coconut and peach flavors didn't fare as well. Whereas blueberry snuck its way into the driver's seat, the other fruits were much more subdued and resulted in an overall taste that made me feel sick rather than healthy. The coconut is chased with a serious dose of citric acid that makes the overall taste closer to Meyer than Molokai. Peach is a hard flavor to emulate because it's almost artificial-tasting to begin with, so the Panama variety started at a disadvantage and never recovered. Only time will tell if coffee fruit is the wave of the future, but if you're a coffee fanatic whose curiosity is peaked by a new frontier beyond the bean, this isn't necessarily the mystic new brew you're looking for. 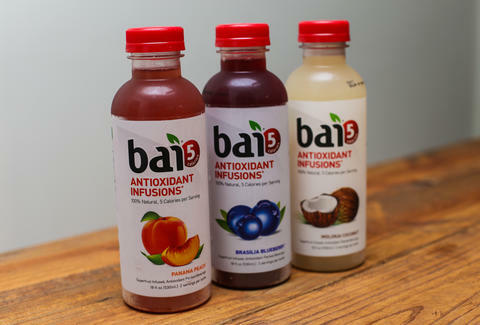 However, if you're into healthy antioxidant beverages that straddle the gap between Vitamin Water and more flavor-forward fruit drinks, you might want to say hello to Bai 5. 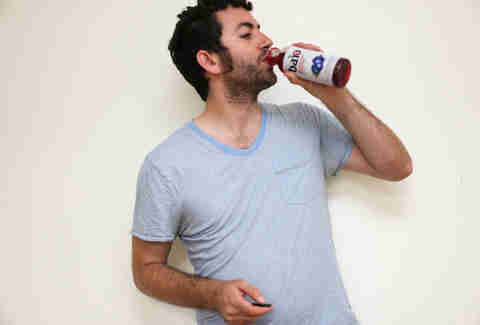 Dan Gentile is a staff writer on Thrillist's food and drink team. Contrary to the popular rhyme, he believes coffee to be the magical fruit. Follow him to digital toots at @Dannosphere.